A place where students with dyslexia thrive. We look forward to the opportunity to hear your child's story. As you discover more about Odyssey, we believe you will experience a warm nurturing community that couples proven methods of teaching with expert teachers who partner with families to set children up for success. Contact Adrianne Cusick for a personalized tour at acusick@theodysseyschool.org or 410-580-5551. Odyssey teachers tailor their instruction to what research has proven to work for your child. The Odyssey teachers work as a team to understand the specific language and learning needs of the individual child, and to design an individualized program to meet those needs. An Odyssey education builds a positive attitude in our students about their potential to succeed as listeners, speakers, readers, and writers. Ultimately, we give the students the language skills that empower them to reach personal excellence and independence. The Odyssey School appreciates how vitally important specialized instruction is in the lives of students with dyslexia and other related language learning differences. As such, the School is committed to assisting families of qualified students who lack the financial resources to pay the full tuition. Over the past several years, the School has made substantial efforts to increase its financial aid dollars. The financial aid program at The Odyssey School helps to make it possible for students who would not otherwise be able to attend the School to access support that helps to bridge the gap between what their families can contribute and the cost of full tuition. We welcome you to come in for a personal tour and to see our students in action. The best way to get to know our program is by observing what we do. Prospective parents are encouraged to schedule a personalized visit early in the admissions process. During your visit, you will have a chance to observe teachers and students, and meet with Adrianne Cusick, the Director of Admissions, to discuss your child and the Odyssey program. Signs of dyslexia often go undetected and unrecognized in traditional academic settings. Left unidentified, students with dyslexia find reading and other language related skills difficult, and, as a result, become increasingly frustrated through their years of school. Underachievement and diminishing self-esteem, a lack of confidence and a lack of love for learning become evident as the struggling student remains in a traditional academic setting. It is critical that both teachers and parents have an awareness of dyslexia, and can work to identify presenting characteristics in the young child before the child begins to experience repeated failure and frustration. Odyssey creates a learning environment for students to acquire the skills to become competent, independent learners, more aware of their strengths and learning needs, and strong self-advocates in all of their content classes. In each subject area of the curriculum, students learn and apply the strategies for developing self-advocacy, and language and executive function skills. 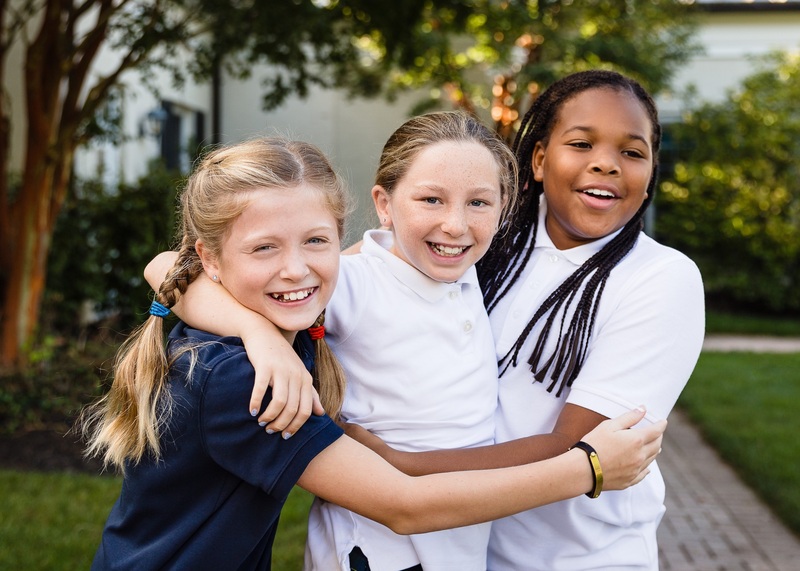 Living the Four Pillars of Kindness, Honesty, Respect and Hard Work at Odyssey are central to the life skills to guide, collaborate, lead and be responsible and influence all interactions among children and adults in the community. Equipped with these skills, Odyssey students are well prepared for the next steps in transitioning to life after Odyssey.